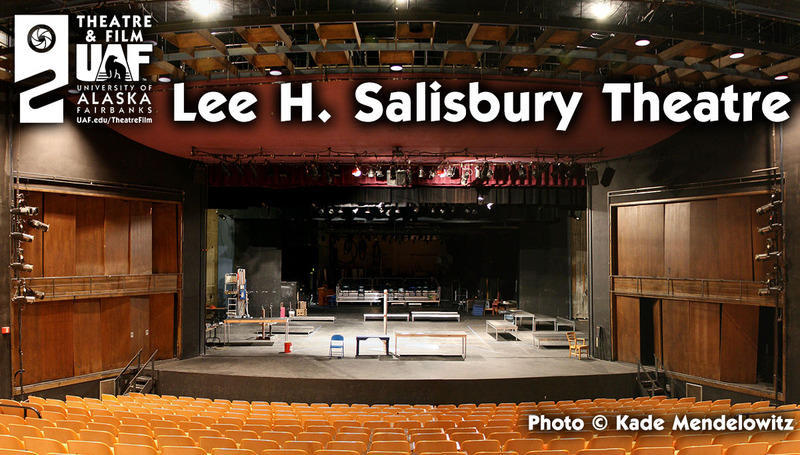 Rentals: Interested in using the Lee H. Salisbury for your event? You will also need to complete a UAF Event Request in conjunction with your Theatre UAF request. Fill out and submit the Word Form to the left A LEAST A MONTH in advance, regardless of the “simplicity” of your event. Do not assume that because you filled out the form, you have the space. We will try to respond to your request within 2 weeks. The best way you can speed to process is to provide clear information about your needs, including rehearsals and prep time. Our form can seem a little intimidating, but that's because we host everything from lectures to movies to fire-eating acrobats! We need to fully understand what you plan to do in the space, so please be specific and give us details. You will need to get permission from both the Department and the UAF Event committee (link to your left) before you can publicize your event in our space! UAF policy requires you to register events involving MINORS at least 60 days in advance. Ask us for more information if your event involves children under 18. UAF also has policies about outside food and beverages. Tell us if you plan to sell or provide food. We expect our logo (when possible; title when not) to be used in printed materials supporting your event. That includes press releases and "special thanks" in any playbills/programs. We have A LOT of specialized equipment...that is fragile, expensive, and takes training to operate. Our data projector is WAY brighter than yours. Our speakers are stronger. Our typical lighting instruments (over 100 always in use) are 750 watts each. Our personnel are highly skilled to know how to make presentations work. But, that also means tuning on the lights is not as simple as a wall switch. After we’ve approved your event, please talk to us more about what equipment you need.